Born in Osaka in 1969. Hidekazu Ashida graduated in Design from Tokyo Zokei University in 1992. He started his career at Noritz co.,ltd, a japanese company making for Kitchen, Bathroom and boiling system, where he designed Japanese bathrooms and air conditioning systems. He joined Takaichi Architect & Associates in Tokyo in 2002, where he designed elements to be included in architecture, but also daily life objects. In 2005, he set up ASHIDA DESIGN in Tokyo. 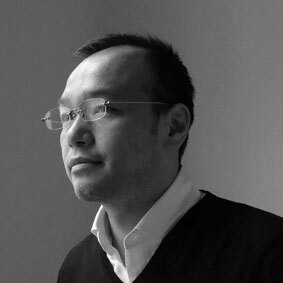 Since, he has been working in various fields (industrial design – electric appliance, kitchen appliances…, interior design, graphic and packaging design, design consulting) and has won competitions and design awards for his works. In 2012, he settled in Paris, where he now lives most of the time. COPYRIGHT © 2019 ASHIDA DESIGN. All rights reserved.